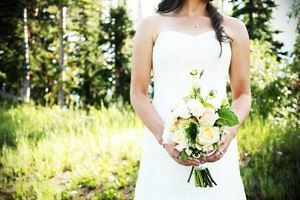 Lapine Photography, based in Steamboat Springs, Colorado, documents the beauty and emotion of weddings and family. They spend time photographing love and life on Mackinac Island, Michigan, as well. I’m Lee – papa, photographer and adventurer. I fell for photography in my early twenties, taking photographs of the beautiful, wild landscapes that abound throughout Colorado and the West. Craggy mountains, red rock and sweeping skies comprised most of my photos. I knew I loved the process of making images, so I enrolled in a photography program to study the craft further. Over those two years, I developed a keen eye for the technical aesthetics that create beautiful images and earned an associates degree in professional photography. I began turning my lens more often to human interactions, with a desire to capture the moments in life that exude and evoke pure joy. A baby’s sweet, gummy smile…a toddler playing barefoot and blissful in the grass…a mother’s arms wrapped around her sweet babe…two people in love, exchanging a look, holding each other close…these are the brief moments that make up the beauty of life. Sarah, my wife, acts as my assistant and second pair of eyes. Studying english and journalism in college, she loved connecting words with beautiful images and dabbled in film photography. Her early images were always small, fleeting moments…a cloud’s reflection in an old church’s window…a drop of water falling clear and graceful from a woman’s hand. She still tends to focus on those small, often unnoticed and quiet details. Together we photograph a range of small and large moments, capturing the details and the gestalt. We believe that photographs should be tangible reminders of the memories that bring us joy and fill up our spirits. We believe that everyone should have access to beautiful images of their family and their wedding day at a fair rate. We believe that you should feel at ease and totally natural with your photographer and that your photographer should blend gracefully into the backdrop of your day. We believe that photographs should tell the story of your life and become woven into the story of your family. We would be delighted to help you tell your story.